iTunes is the first and the last choice for the majority of iPhone users for media files transferring and library organization purposes. However, many iPhone owners are dissatisfied with unfriendly user experience of iTunes, such as inability to save Internet transfer files to the library and the disappearance of non-purchased media files after synchronization. Regardless whether you are a happy or an annoyed iTunes user, you might want to consider the following 5 iPhone data transferring alternatives we carefully picked from numerous options on the market. Each application is able to level up the data transfer and management experience and offer some useful additional features iTunes doesn’t provide. iTools is an easy-to-use iOS devices management tool that operates in the same fashion as iTunes, but has some quite useful additional features. 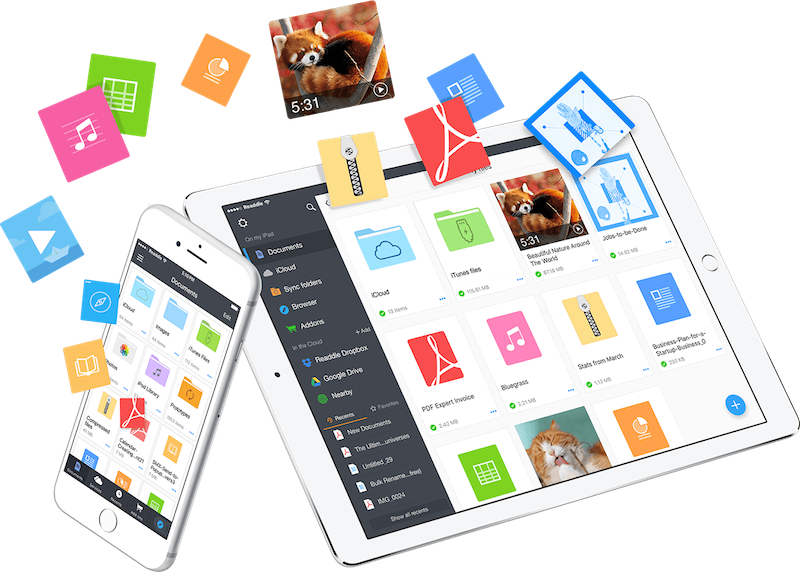 iTools helps to backup and transfer contacts, applications, photos, music, videos (supports all video formats ! ), books, documents, and other files between all iOS devices and computer. The application gives information about your iPhone’s battery health , has a built-in iPhone ringtone maker, it can backup and transfer iPhone data in one click, and on top of that, has a neat virtual location feature. Air Transfer offers one of the easiest way to transfer files between computer and iPhone: images, music, videos, documents, and even bookmarks and website links can be dragged and dropped through wireless connection, no USB cable needed. All transferred items are being automatically classified into 7 categories in accordance with their type. Air Transfer supports a wide range of file formats and has a built-in music player with remote control, background playback mode and manageable playlists. The application offers a wide range of functions for working with content: built-in web browser with the ability to download files, PDF and MS Office document viewer with fast scrolling, media player with AirPlay support, data transfer using iTunes and via Wi-Fi, ZIP-archives support. iExplorer is another solid file browsing and transferring application with handy drag&drop ability and straightforward interface. iExplorer can mount a directory from any iOS device, including the oldest models of iPod, and use it as a folder in Windows Explorer for one-click recovery of music and videos straight to iTunes. The application allows exploring and exporting media files, notes, call history, calendars, contacts, messages (with attachments!) and browse iTunes backups. The software is suitable for both simultaneous use with iTunes and as an iTunes substitute. AnyTrans is a file transfer and management tool and the only application that can perform a both-way transfer between device and computer, device and iTunes, device to device. The application provides the ability to browse and extract iTunes backup without performing a restore and to rebuild iTunes library from iPhone in on click, keeping playlists and ratings. Besides quickly moving all types of files, AnyTrans performs automatic conversion of media files not supported by iOS. Just drag any movie or clip into the device folder, and AnyTrans converts it to MPEG-4 or H.264 depending on the quality settings and turns MP3 into AAC, on the fly. AirDroid allows wireless free management of iPhone from Windows, Mac or the web version and it covers not only media files, documents and archives, but also gives control over various app notifications, calls and messages that can be received and replied to from computer. AirDroid has a Find phone feature for locating your phone when it’s lost and a Remote camera ability that allows seeing through the lens of both front and back cameras. The application backups and syncs all and any types of media files.